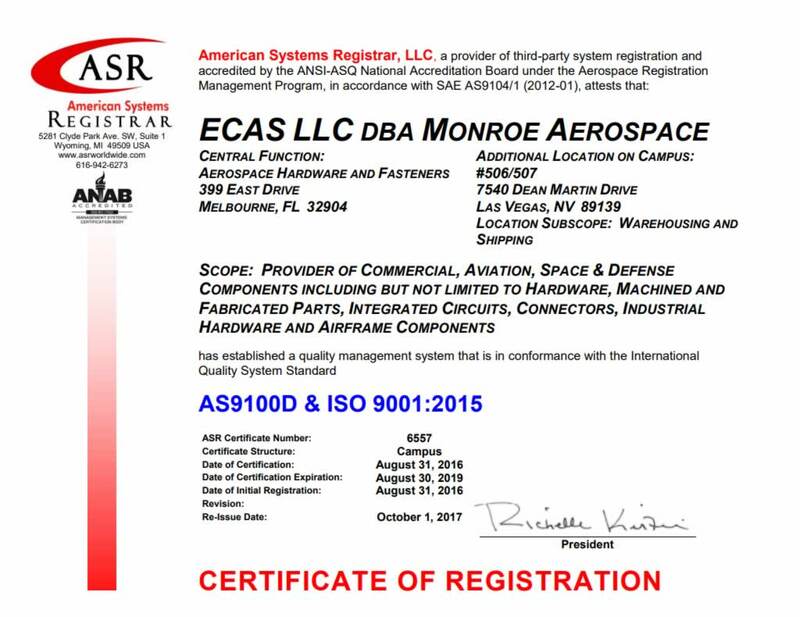 Monroe Aerospace is a stocking distributor of Aerospace and Mil-Spec hardware. We have an extensive inventory of lock washers. Every part that we sell is in Factory new (FN) condition and we provide our company’s certificate of conformance for all parts on every order. See below for our products.